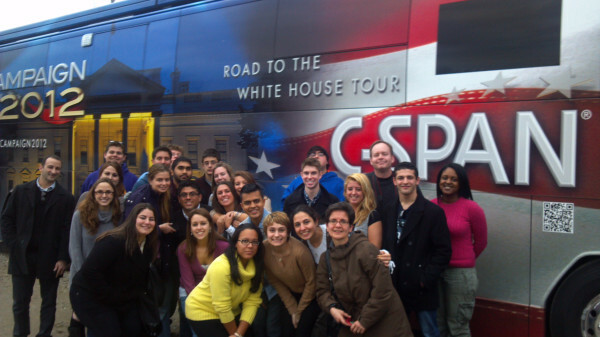 A large group of Hofstra students and faculty went up to New Hampshire to experience the political happenings of the New Hampshire Republican Primary. One of our Pride Guides, Peyton Flescher, joined them. Peyton is from New Hampshire, so this trip was like a mini homecoming, except with political candidates and the national media! Below is a picture taken from the C-SPAN bus of the Hofstra New Hampshire crew!